Buying your first pair of maternity pants? It’s official, I am pregnant with my first baby! And wouldn’t you know it, the moment I found out, my pants stopped fitting right. How is that even possible? At 7 weeks I was struggling to wear nearly all of my pants, except of course for my painting pants and those loose fisherman pants I wear on the rare occasion around the campfire. Unfortunately for me, those pants don’t really work with silky blouses and suit jackets. In a panic, I ran to the internet to see if there was a solution to my quickly expanding problem. After reading expert columns and numerous blogs, I began to feel a bit ‘abnormal’. I realized that ‘most’ women don’t really need to buy new clothes until their second trimester, based upon the healthy amount of weight a woman should gain during the pregnancy. Great. Just Great. Now what? For the next week I tried everything in order to wear my pants to work, and it was absolutely horrible! I found myself taking extra trips to the washroom just to unzip my pants and give my belly relief, even if it was only for a few moments. At the end of the week, I was at the point were I was wearing unzipped pants to meetings, praying that when I stood up at the end of it my pants would follow my lead. During supper one evening I turned to my husband and said “Babe, I’m sorry, but I think I need to go and pick up some new pants for work, I just can’t wear the ones I have. Is that okay?” and my husband’s reply was “Sweetie, you don’t need to be sorry, you’re PREGNANT, and you should do whatever you need in order to be comfortable.” And that was that. The very next day I made my way over to Thyme Maternity in Saskatoon's Lawson Heights Mall in pursuit of a pair of maternity pants. Walking into the store, I felt embarrassed. I didn’t want to have to share with anyone that I was only 7 weeks along and already needing new pants. As the associate approached me, I tensed up and nearly shouted out that I was there buying pants for a friend. Instead, I drummed up some courage and stated that I am there to get pants for myself. Sifting through the racks of clothing, the kind lady asked me how far along I was, and... I hesitated not wanting to share, because all I could hear were the expert columns reminding me that I shouldn’t really be there yet. Looking back at her, she was smiling at me and awaiting my response. I begin by apologetically confessing that I was only 7 weeks along, and she replied with “Oh how fantastic! Nearly two months along, how are you feeling?” I was shocked! Absolutely shocked by her response. Thinking that perhaps she didn’t hear me right, I continued to explain that I know it’s not normal to need new pants already, but she quickly interjected stating “Who said?... Every woman is different and there is no need to be hard on yourself. Whether you are 4 weeks, 7 weeks, or 18 weeks, the most important thing is to enjoy this journey and embrace the changes that are happening to your body.” And in that moment, I felt normal. My two hour outing at Thyme Maternity was exactly what I needed. I walked out of the store feeling excited about what was on the horizon. Instead of worrying about how quickly I was expanding, I chose to focus on how amazing this whole process was going to be. If you’re like me, needing new pants at 7 weeks, know that you’re in good company. No matter if you are 4 weeks, 7 weeks, or 18 weeks, the most important thing is to enjoy this journey and confidently embrace the changes that are happening to you. I highly recommend paying a visit to Thyme Maternity for fantastic pregnancy apparel options. Check them out online for some great "Bump to Baby" checklists and shopping tips. As I sit in my living room with my wife watching The Bachelor, and I am trying to find the “reality” in the show. In what world does one guy get to choose between 27 women who have some fantasized version of who he is? That didn’t happen in my life. I had to actually win a woman’s heart through effort, charm, and a little bit of luck. In the end though, just like Juan Pablo, I ended up with a woman who is totally out of my league. I was in a wedding recently, and during the ceremony, the wedding officiant challenged everyone to keep variety in the love they share with their significant other. Basically this means don’t just sit and watch TV together every night (and here I am in front of the TV watching The Bachelor with my wife). I felt the conviction in his words. Maybe I was getting a little lazy, and not pursuing my wife like I did when we were dating. So, what should I do? Our lives have changed since my wife and I dated. We both have a lot less time, so I decided to come up with something simple, yet meaningful. My first move was not extravagant. I bought some wine and flowers, barbecued some steak, and had dinner ready for my wife when she got home. Well, that was the plan. Turns out my wife got home while I was still setting up and the steak tasted like an old sweater (not my fault!). However, my wife praised my effort and felt loved, so it worked out. My failed attempt got me thinking, what are some great date ideas in our city? Ideas that would make our wives feel loved, but that any husband could do with a minimal prep time commitment. Ideas that would spice up our lives and add that much needed variety. I’ll share a few ideas of my own, but if you have a good idea, be sure to leave a comment with your best date idea in Saskatoon on our Facebook Page. Sign up for dancing classes together. Neuroscience has shown that when people learn new skills and see each other in different settings, they become connected in a new way and their love grows. So commit to learning a new type of dance with your wife, and in the process, commit to spending one night out a week with her. Dance Class Saskatoon and West Coast Swing Saskatoon are two great options to check out if you're interested in taking a class with your special someone. Brainstorm together someone you know who needs a helping hand at the moment. Once you pick your target, choose a way that both of you could help them. Go and buy the gift or do the act of helping together. Doing something kind for someone, together, will grow your love for each other. Be tourists in your own city. Find a local tourist attraction and go together, pretending you are tourists. Take pictures, and dress up like you are on vacation. This acts as a fun little escape in our city. Visit the Museum of Antiquities at the U of S, or check out the latest exhibition at the Mendel Art Gallery. Do you have any unique date ideas to try in Saskatoon? Every other month I meet a friend of mine at one of the local breakfast joints in Saskatoon. We spend a good two hours catching up, sharing life, eating our usual poached eggs, rye toast, cubed hashbrowns, and fried tomato slices, over at least a pot of coffee each. This past Saturday, we found ourselves meeting at Broadway Café in Saskatoon. I’ve always enjoyed the food and environment at the café, but it wasn’t until recently, when I took a moment to observe the type of atmosphere the café created, that I realized that Broadway Café really is a place where community gathers. As I waited for my friend to arrive, I watched groups of people flood the entrance hoping for a table to come available. I noticed that unlike the waiting lines at other restaurants in the city, where the people are usually unimpressed with the expected wait time, the people waiting here were jovial, conversation was bubbly, and spirits seemed to be high, even though the café was completely full and it didn’t look like anyone was eager to leave. Noticing this, I deducted that the people weren’t just coming to the café to simply eat the food, they were coming here to share time with one another. That’s why the wait seemed to be less painful. Part of what I love about the café is how diverse the customers are that frequent it. At one end, there sat a family of four enjoying their breakfast. At another table, there were writers discussing different endings to a piece of literature. Next to me, there were two ladies sharing the excitement of new beginnings. Across from me, there were a group of young guys discussing the issues of the day. Beside me, a grandmother sat with her granddaughter, sharing the kind of laughs that long-time friends enjoy with one another. If you haven’t been to Broadway Café for breakfast, you really must go. While you’re there, take a moment to look around and soak in the atmosphere. I haven’t yet stumbled upon a similar place in Saskatoon, but I am definitely on the lookout. Places like Broadway Café are part of the reason why I love our city. 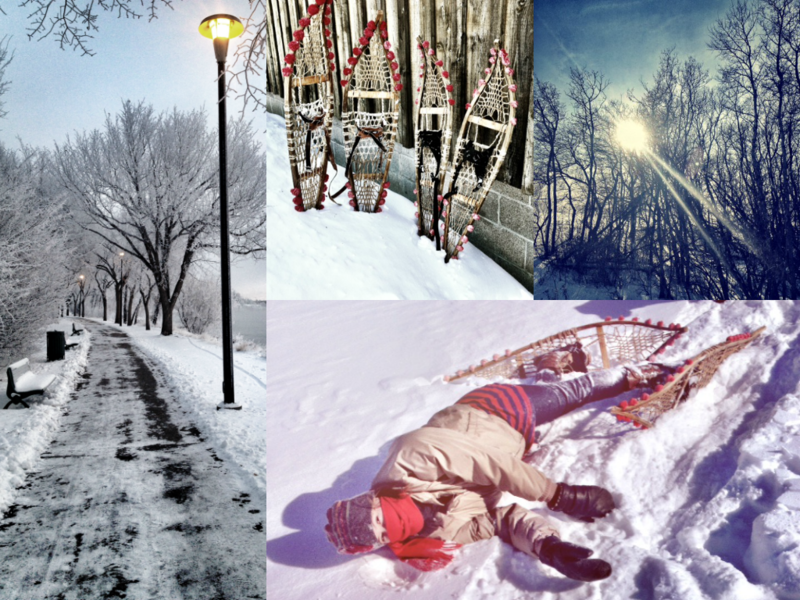 Saskatoon has some of the most unique places where people come together and create the healthy, vibrant, and diverse characteristics of our community. Braid Flooring & Window Fashions takes pride in the floors and window coverings they install. Braid is a locally-owned Saskatoon company, serving both the residential and commercial markets. Braid recently expanded to include window fashions, paints and wall coverings, as well as an area rug gallery. Everything you need, including the experience to bring fashion to your home, can be found at Braid's Saskatoon showroom. Braid's Window Fashions Specialists can help provide solutions for your everyday, practical needs, while fulfilling your desire for stylish window coverings that will suit your home. Braid Flooring & Window Fashions, your Trusted Saskatoon Window Covering Expert, shares some tips for renovations on a budget! Now that the holiday season is done it's time to start thinking about your flooring, blinds, and walls for 2014. But the New Year always seems to arrive with something familiar....credit card bills! Those renovations are still important, but all of a sudden the budget is a little tighter. Not to worry! While Braid is known for quality service, we also spend considerable time finding quality products for all budgets. Here are a few ideas for updating a room on a budget. Hardwood flooring is the King of flooring these days but it also comes with a cost. Instead of buying real hardwood, consider Luxury Vinyl Planks. The visuals are incredible but will also provide serious cost savings. Natural stone tile is a great way to create a spa feeling in a bathroom but the costs of material, labour, and maintenance add up. Instead look at porcelain tile that mimics natural stone. You will be hard pressed to tell the difference... other than the cost, that is. Are your walls just looking bland? Try a simple can of Farrow & Ball paint and some curtains from Kravet. It's a quick and inexpensive way to update a room. 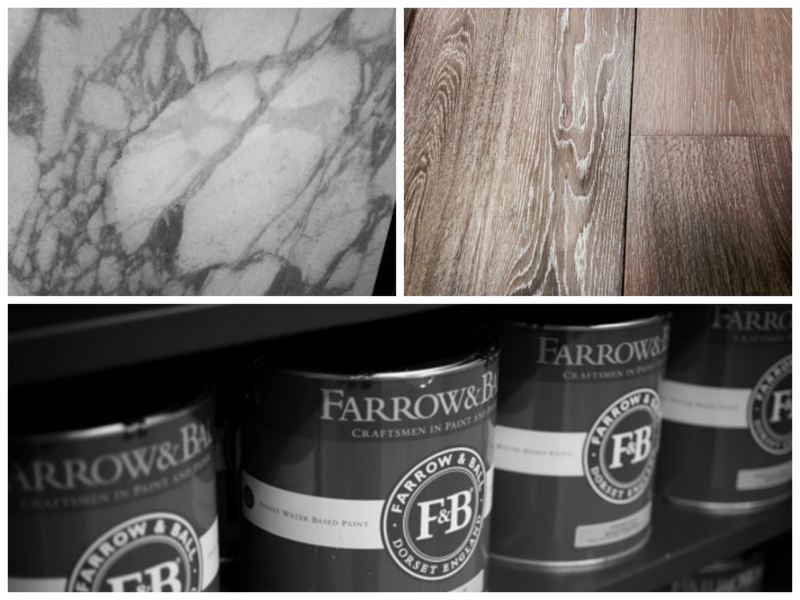 Regardless of whether you're building your dream home or looking to update your existing home, we have the right products for your budget. Visit our Saskatoon showroom to learn more about how we can help you. Braid is also part of the My Saskatoon community. Check out Braid's Spotlight Profile for contact details and to connect on social media! Glass Slipper Cleaning Services is locally owned and operated, and they provide reliable cleaning services for homeowners like you in Saskatoon and the surrounding area. They appreciate your trust and know they have to earn the right to keep it! Glass Slipper owner Angela Sipko is a hardworking, kind hearted, professional who believes in providing the best possible experience for her clients. Trusted Saskatoon is confident that after Glass Slipper Cleaning Services have been to your home, it will pass anyone’s 'white glove test’. Here, Angela, the owner of Glass Slipper Cleaning Services shares her latest Trusted Tip on cleaning! Let’s face it. Nobody actually likes cleaning. It’s just something that needs to be done to keep our places from becoming dirty and looking like something out of an episode of Hoarders. So, how do we make everyone’s least favourite chores a little more fun? Cleaning can be quite time consuming and overwhelming if you’re doing it alone. As the old adage goes, ‘the more the merrier’…right? So maybe a friend won’t actually help, but a spouse, partner, roommate, or kids are great resources. Divide tasks evenly so everyone knows what to do and will avoid getting in each other’s way. When all hands are on deck, the job will get done quicker. Sure, there may be an IOU for their efforts, but do you really want to spend your Saturday cleaning house alone? I didn’t think so. Rock out with your broom out. I’m a huge advocate for playing music to get just about anything done. Something about a catchy tune helps me to get work done more efficiently. But when it comes to cleaning, I find it especially effective. There’s nothing like dancing around a room, blasting Madonna, and making your vacuum your newest dance partner. Not to mention that singing along and working to a beat makes it a little more entertaining than working in complete silence. Come on downnnn…to The Clean is Right! 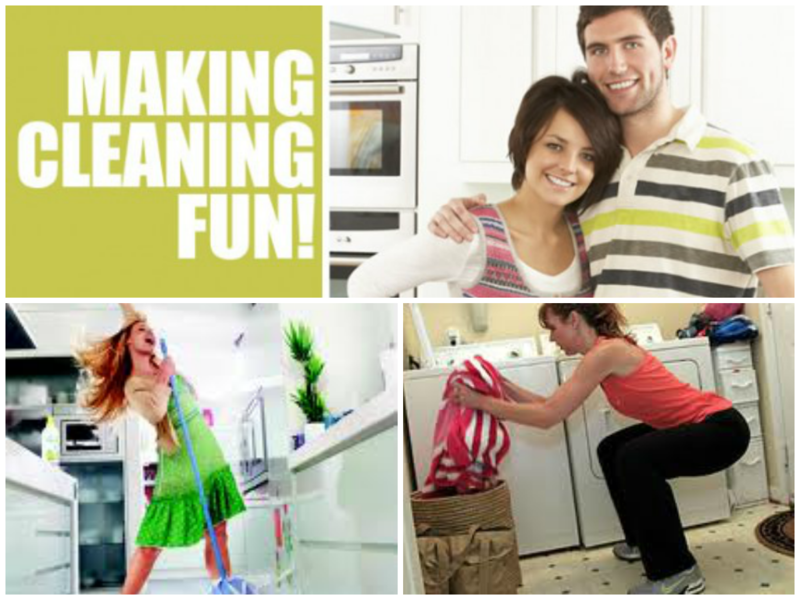 If you have someone willing to help you clean, make it fun. Challenge roommates or siblings to see who can clean their room faster. Use a garbage bin as a hoop to toss garbage into. Or, you can play ‘what’s missing’- clean an area and see if someone can guess what’s missing that was there before. Games can be effective in teaching young kids how to clean, while making it a fun experience as opposed to a chore. Set a timer and challenge them to pick up as much as they can in a designated time. Be creative- the possibilities are endless! Shape up while you clean up. Why not take advantage of the opportunity to get 2 birds with 1 stone? For those of you who love to exercise, or for the ones that can’t get enough time in the day to do it, cleaning can help. Put on your favourite tunes, preferably something with a fast beat, to help you pick up your pace. Tighten your abs and stretch to reach extra-high areas. Making big movements, like doing big circles when cleaning a shower door, will help those arm muscles. Start lunging while vacuuming and it won’t just be your house that’s in tip top shape! To avoid feeling overwhelmed (especially if your house looks anything like mine), take breaks as you clean. Set a timer for 10-15 minutes and rest for a minute or two, drink something or have a snack. Many people tend to get less and less motivated while cleaning, so try eating a favourite food, dress up funky, or pretend to be someone else to keep yourself from getting bored or tired and stopping. The most fun way to clean is by not cleaning at all! If you’ve got way too much on the go or just don’t want to waste precious down time on cleaning, hire in the professionals. It will free up your social calendar so you can enjoy your free time but just be mindful that it will cost you. If money is an issue, look to do professional cleans on an occasional basis and mindfully manage your space in between. You’ll notice it’s easier to clean in small doses on a daily basis than a big overhaul at the end of the week. Find Glass Slipper Cleaning Services' Spotlight Profile for more information! The city of Saskatoon is one of the fastest growing cities in the world. As Saskatoon grows at a tremendous rate, our airport needs to keep pace. We currently have the 11th busiest airport in Canada with passenger volumes up 7.7% from last year, and this growth is projected to continue into the foreseeable future. Thankfully, Phase 1 of a 53 million dollar airport expansion has just been completed, offering new, much needed amenities. The last time I took a flight, I remember going through security at the airport in anxious anticipation for my trip to Hawaii. I arrived early as it was an international flight, but forgot about the complete lack of food options after security. In any other city, I would have multiple options, but here in Saskatoon I had one 7-Eleven style store where I could only hope to salvage a decent meal. The airport expansion will address this concern. Once completed, food options beyond security will feature a Tim Horton’s Express, To Go! cafe and lounge, and a John D’s bar and grille with seating for 190 people. A brand new VIP lounge will also become available in this area. The final expansions will almost double the size of the airport. In 2010, the annual capacity of the airport was 1.2 million, and after completion the expansion will allow for an annual capacity of 2.2 million. These expansions are not just pleasing to the eye, they also bring with them some exciting opportunities for our city. In my eyes, the best part of this airport expansion is the direct international flights that will become available. In August 2013, United Airlines eliminated the Regina stop on their flights from Saskatoon to Chicago. More United States options are sure to follow. There are also rumours that direct flights to places like the UK and Germany are coming. Why is this so exciting? Have you ever visited discount vacation sites and compared the prices when leaving from Calgary or Saskatoon? Calgary always seems to be cheaper. However, with these new direct flights from Saskatoon, locals will have more opportunities to travel the world at a discounted price. 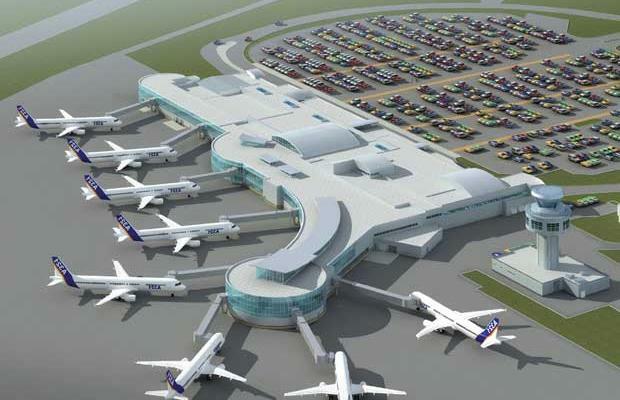 If you are into travel, get excited for these airport expansions! As quietness develops throughout the house, 10 o’clock rings in the end of what always seems to be an extended work day. At this point in the day I’m usually found lounging with a cup of herbal tea in one hand and a book in the other. But as of late I’ve swapped out the book in favour of my iPhone. I wouldn’t identify myself as a person who typically enjoys spending countless hours on their iPhone looking at pictures or checking the latest social media updates. Personally, I feel like I spend so much time in the day answering emails and phone calls that when the end of the day comes around all I want is to be as far away from my iPhone as possible. With that being said, it has been to my surprise that I now find myself clinging to my iPhone in the evenings. More specifically, an app I recently downloaded; Houzz. If you’re anything like me, and rarely go into the App Store to peruse the latest and greatest apps to hit the masses, might I suggest taking three minutes to download the Houzz app. Trust me, it will be well worth it. I stumbled upon Houzz during a conversation with a friend of mine who owns a flooring store in Saskatoon. I was instantly impressed with the app’s search criteria and doubly impressed with its streamlined approach to organizing blog posts into typical home categories and engaging ‘Ideabooks'. This app couldn’t have come at a better time for me, as my husband and I recently purchased a new home in Saskatoon’s popular Evergreen area. We’ve been here for less than a year and I’m already itching to give it a facelift; lucky for my husband our first major project will likely be a spring venture into “simply” finishing the landscaping, or so he thinks. Much to his dismay, since discovering Houzz, landscaping has become a whole new world of creative possibilities. Gone are the days when the extent of creativity in landscaping was laying sod, planting a few decorative bushes, and adding a mix of perennials and annuals to make the edged area look complete. Instead, Houzz has opened my eyes to internationally inspired landscape and backyard patio designs that have yet to grace the yards in Saskatoon. The potential is endless. Personally, I feel like the Houzz app is for the everyday woman who secretly desires to have the kind of home where each room is designed as a personal retreat and constantly inspires those who have the privilege of being entertained in it. I’m probably not the first woman to admit that I want my home to accurately reflect my unique sense of style and personality, and of course be featured in one of the popular design magazines for being a home to model others after. Although the majority of us aren’t cut out to be the next greatest home designer on HGTV, the Houzz app sure does give me hope that one day I might just have the house of my dreams. So for the last few hours left in my day, I can be found with a hot beverage in one hand and the other continuously swiping through the photos on Houzz, slowly building an album of ideas that will keep my husband busy for the foreseeable future. Saskatoon Pilates Centre is Saskatchewan’s premiere Pilates studio– the largest and most fully-equipped Pilates studio in the province. 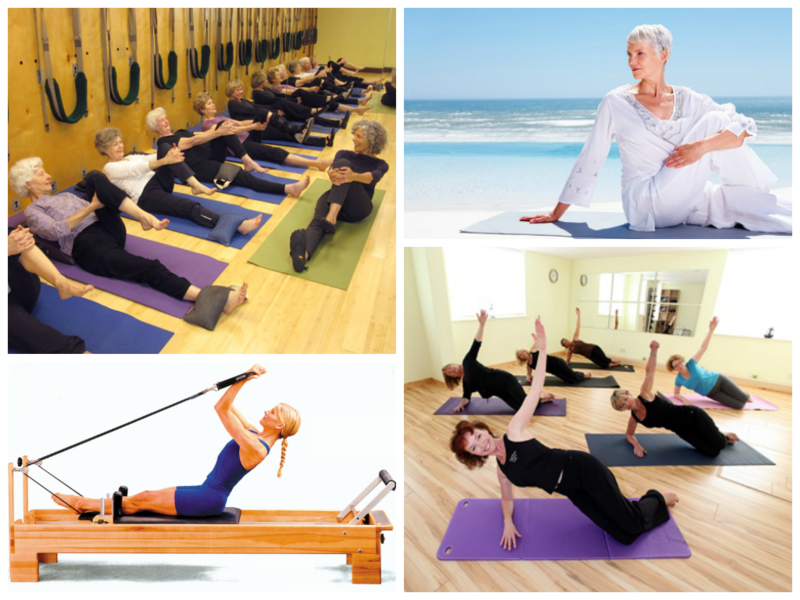 Saskatoon Pilates Centre provides top quality classes with the most experienced and dedicated teachers, helping you to integrate body and mind for everyday living. Sounds great, doesn’t it? Your Trusted Saskatoon Health & Wellness Expert, Saskatoon Pilates Centre, shares a few facts about the Pilates method. Pilates exercise focuses on postural symmetry, breath control, abdominal strength, spine, pelvis, and shoulder stabilization, muscular flexibility, joint mobility and strengthening through the complete range of motion of all joints. Instead of isolating muscle groups, the whole body is trained, integrating the upper and lower extremities with the trunk. The Pilates system of exercises reawakens the mind-body connection for optimal physical conditioning. By emphasizing a mental awareness and a deep understanding of how the body moves, Pilates imprints efficient movement patterns that cross over into our everyday lives. With systematic practice of specific exercises, coupled with focused breathing patterns, Pilates has proven itself invaluable not only as a fitness endeavour itself, but also as an important adjunct to professional sports training and physical rehabilitation of all kinds. The Pilates Method Alliance (PMA) believes that Pilates should evolve along with the advances of modern science, maintaining the integrity of the method with the safety and health of its participants always in mind. This means that if an exercise is determined to be contra-indicated or unsafe, we will respect it as historical repertoire, and modify it or delete it from any client’s program. It is not designed to be aerobic. Pilates exercise was never designed to be aerobic, nor did Joseph claim that his exercises were aerobic. Recent research has supported this statement in showing that Beginner Mat Pilates is low-moderate intensity and Intermediate and Advanced Mat work meets the criteria for moderate intensity activities (Olsen, et al 2003). It is not only for the elite or wealthy. Joseph Pilates suggested that everyone should do his exercises everyday. Booking a private session with a Pilates teacher should be considered to be in the same arena as booking time with a massage therapist or personal trainer, at a cost of $50-$100 per hour. Pilates teachers also recommend that their clients practice Pilates exercises everyday, or at least 3-4 times per week at home, to supplement their training in the studio. It is not only for the healthy or well. Joseph Pilates also modified his method of exercise based on whether his client had injuries. Pilates can be modified for unfit people, post-trauma, post-disease, elderly, and has been shown to increase enjoyment and participation in exercise even for children. Pilates is not a fusion exercise. Pilates is performed on a mat or one of many apparatus that Joseph Pilates designed- Reformer, Trapeze Table, Wunda Chair, High Back Chair, Ladder Barrel, Half Barrel, Spine Corrector, Ped-O-Pul, Head Harness, Foot Corrector, Toe Corrector, Magic Circle, Bean Bag and Pinwheel. Pilates is not performed in a pool, on a small or large ball, or in combination with other forms of exercise, and still called Pilates. However, today, it is certainly acceptable to apply the Pilates principles to all forms of movement, exercise, sports and daily life activities as Joseph intended. Let Saskatoon Pilates Centre help you find that “zest and pleasure” you've been looking for! Contact Saskatoon Pilates Centre at (306) 955-2965, or online. We all want the very best for our pets, and that is part of what makes Critters Pet Health Store the best choice for Saskatoon pet owners. They have set a very high standard for the products that they carry, offering top quality foods, treats, toys and other necessities for your pets. Additionally, Critters is the only locally owned and operated pet store in Saskatoon that focuses solely on dogs and cats. This means that when you ask them a question or have a concern, they give more in-depth and specialized advice regarding proper nutrition and care. After just one visit, you will discover how passionate the staff at Critters are about animals and providing the very best for them. 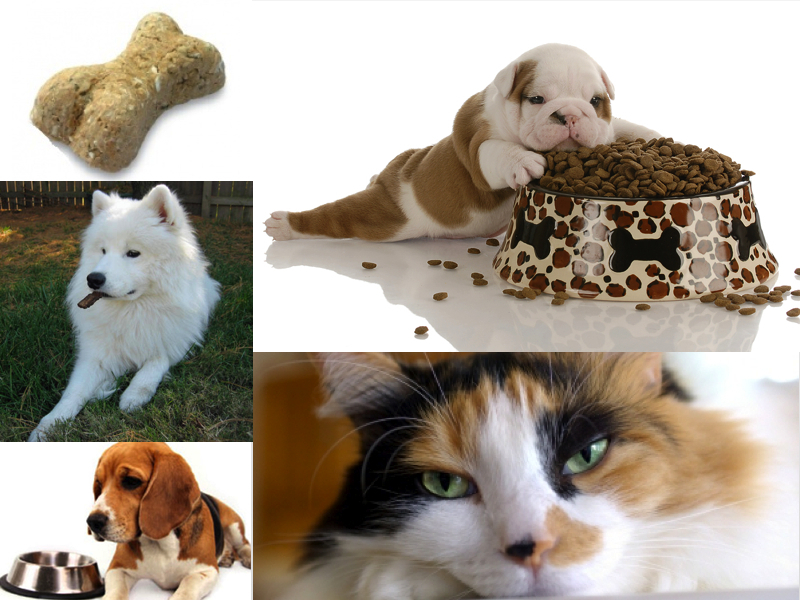 Critters Pet Health Store, your Trusted Saskatoon Pet Expert, shares advice on pet nutrition. Q: Is it unhealthy to change your dog’s food often? Is it better to keep their food the same all the time? A: This is a personal preference, customers usually want to change their pet’s food because they want to give variety and feel their pet would be getting bored with eating the same thing everyday. The truth is that pets are driven to food on smell, not taste. So, if their current diet is working, then it’s not necessary to change. Remember when switching formulas that you should always slowly mix in to get your pet’s stomach and digestive tract adjusted, even if it’s the same brand but a different flavour. Q: What is the best all-natural dog food on the market to feed our Samoyed dog who is getting up there in years? A: At our stores, we recommend pet foods based on the ingredient list, not the brand name. We believe it’s what’s inside the pet food that makes it good! We have a variety of healthy Canadian pet foods that have some of the best ingredient lists on the market. If you visit any of our stores we can show you what to look for and what to avoid. We will never recommend a pet food with any by-products, corn, vegetable protein concentrates, wheat or fractionated grains. It’s not necessary to change your pet’s diet if they are becoming more senior (you wouldn’t cook a different meal for your grandparents than you would for yourself right?). You can continue to feed the same food, but it’s always best to adjust feeding levels if they’re starting to gain weight and to separately add a supplement for their joints. Many pet foods market themselves for seniors, but do not have sufficient levels of joint supplements in them to be very effective. For example, many pet foods have 500mg of glucosamine per kg of food. So you must feed 2.2lbs of dog food to get that 500mg, which isn’t realistic. We have many powdered supplements in the store that allow you do give effective doses at a very reasonable price ($4-5/month). Q: My dog recently developed allergies. He is now on a hypoallergenic type of food. Are there any treats on the market that are safe? A: We deal with pets with allergies all the time in our stores, and we have many options for hypo-allergenic diets and treats in our store. Generally, you want to avoid corn, wheat, soy and dairy if you believe your pet has an allergy. However, if you have a list of ingredients to avoid, we can help narrow down a product for you in the store! Normally we recommend going to a food or treat that is a single animal protein (meaning it only contains one type of meat protein, such as lamb) and the product should also be completely grain free. There are also vegetarian treat options that normally work for pets that have severe allergies. Q: My senior cat, who is 19, has arthritis. Is there anything on the natural side of things that I can get for her that will help with the stiffness and pain? Especially when it is about to rain? A: We carry a variety of natural supplements to help with your pet’s joints. We have a supplier who we get our pure glucosamine from, so your pet is getting a non-diluted natural product. The different powder products are sprinkled on top of your pet’s food and the dose is based on the pet’s weight. These supplements should be given once a day so the pet receives the maximum benefit from it. Q: What is the appropriate age to switch a dog from puppy food to adult food? A: Many people are under the impression that you must feed a puppy a specific diet, and switch to adult later. The truth is that a good All Life Stage recipe is all your pet needs, and you can feed this food throughout its life! All Life Stage recipes meet both puppy and adult nutrient profiles, as required by AAFCO. Many healthy pet food companies do not even make puppy formulas anymore. Instead, they have a more dynamic feeding chart, outlining what to feed your puppy or adult dog. If we think of this logically with our own lives as an example, we do not make special chicken for children at the supper table that adults can’t eat. Using a wild animal example, there is not a rabbit made specifically for puppies that adult dogs cannot eat. Always remember that feeding guidelines on pet foods are just a “guide”, and that you should adjust the feeding levels based on your pet’s activity level and metabolism. If your pet is becoming overweight, there is no need to switch foods. Instead, simply adjust calorie intake by feeding less. If they are losing weight, then bump up the feeding amounts. Critters Pet Health Store has 5 Locations in Saskatoon. Find the one nearest you by checking this great local business out online.